Extra 20% Off Clearance Items At Lane Bryant! You are here: Home / Great Deals / Extra 20% Off Clearance Items At Lane Bryant! While they last, you can get an additional 20% clearance items at Lane Bryant! 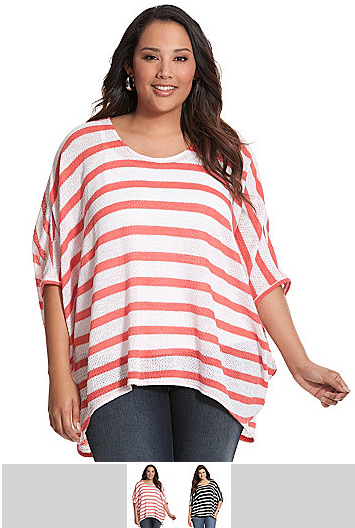 This Striped Cocoon Top is marked down to $34.99 for a final price of just $28! Merchandise ships FREE to your local store! Just use promo code WOWNOWLB to get your extra 20% off! Clearance prices start at around $5 and there are items from all seasons! Buy for now AND buy for later!